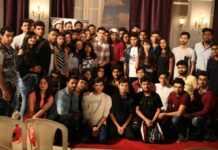 Internet has given a new life to the young localized filmmakers who can now dream of becoming filmmakers without stepping foot in the chaotic mess that is Mumbai. 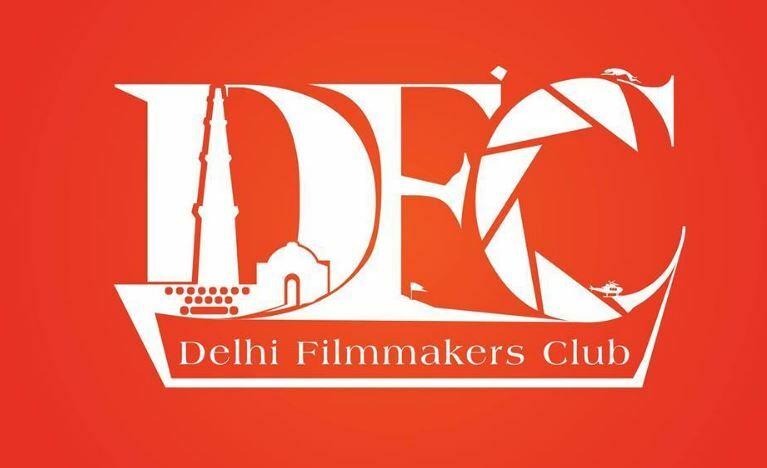 Delhi Filmmakers Club boasts of such fresh new blood in the Indian filmmaking circle. With Aalim Rushdy, Manawz Ashodia and Vasu Ananth Bhardwaj leading a rising community of young film professionals, Delhi is on its way to become an alternate hub for the filmmakers in the country. But with the entire team’s average age being 25 years, that dream is somehow a little too distant. But is it, really? I am in regular touch with one of the co-founders of DFC and one of the head writer and director, Manawz Ashodia who gave us an insight into the workings of the group, which is nothing short of impressive. ‘We do not compromise on quality. We make what we want to make and we will do what we want to do. That is the benefit of being independent filmmakers, of the self funded projects’. Yes, aside from a web series Ishq Satrangi, that has amassed more than a million views, they have funded their projects themselves. The reason, Manawz tells, is because it’s difficult to acquire funding for their projects that lack the mainstream commercial Bollywood tropes. Their content is unique, hard hitting, abstract and quite honest. Aalim Rushdy, founder of DFC, agrees. After directing four short films that have been officially selected at 13 international film festivals, Aalim is quite content with the pace that his brainchild DFC is working. Vasu, on the other hand, is a skilled cinematographer, editor and a director who has co-directed a few of those award winning shorts. The best thing about DFC is that all the filmmakers here have different approach to filmmaking. While Manawz is inclined slightly towards poetic, magic realism, Aalim likes writing realistic films with challenging cinematic scale that unmask the societal evils. While Vasu, with his core interest lying in the classic Hollywood era, is a fine balance between the two extremes. That’s where the strength of the team lies. With more and more people joining the team- such as a US return young filmmaker Lovish Singh and a few young filmmakers from Kolkata and Mumbai, the team currently possesses about 15 members with 4 DOPs, Manoj Patra, Aviral Joshi, Abhishek Dhiman, Dron Bahal and 3 highly skilled production managers such as Shaad Khan, Vishal Garg (who is also a tremendously talented actor) and Bharat. Ashish Ashodia, Manawz’s younger cousin is helming the editing process. With a power packed team, DFC has been more active recently. Manawz has directed two of their recent projects, Giraft and Sheh aur Maat, that are tributes to some of their favourite films. A few more such projects are under the pipeline. They have also been editing their first feature film W House, which they shot last year, co-written and co-directed by Aalim and Manawz, starring Vasu in the main lead role with Salim, Manil Mayank Mishra and Garima Bajaj. With many projects coming up shortly, things have never been better for DFC. 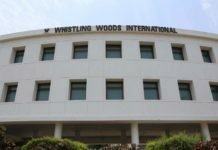 Lovish Singh, the LMU School of Film and Television (Los Angeles) alumni, along with Manawz is writing the Delhi Series, which could their big ticket to success in the near future. With a huge team now, they are able to work on many different projects now. And they are! 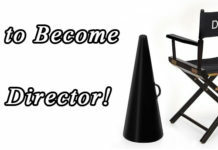 We are looking for paid projects now, Manawz further adds, we want to collaborate with producers those empower our creative instinct, embrace our uniqueness and trust our creative calls of the honest portrayals of the themes that we want to touch. We are all young and talented and we will find our way. On the question of whether they’ll ever move to Mumbai, Hyderabad or California, Manawz sassily says- Let them come to us, first! Among their upcoming projects are a few tributes to their favourite filmmakers, a semi-feature film W House, a few festival films and a couple of web series’ ideas that they are looking to pitch to Netflix, Amazon Prime and other OTT platforms. Side by side, they are also looking for paid projects that would somehow improve the quality of their future projects many notches. 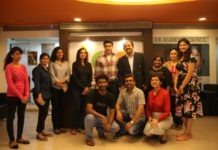 With a multi million times viewed LGBT web series Ishq Satrangi earning accolades, they are hopeful that their work will be noticed more and more people will get in touch with them. 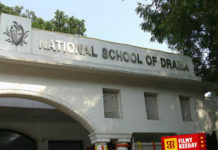 Things are looking just fine for the filmmaking circle in Delhi. With more people getting to know this amazing filmmaking collective, it’s only a matter of time when the International and national cinematic community takes notice of them. Successful ICE Alumni and Placements: Is it worth spending money and Time?